Dr. Hamid Rastegar is one of the original founders and current majority owner of Aspen Environmental Group. He serves as President and Chief Executive Officer. Dr. Rastegar has more than 30 years of broad experience in management of multi-disciplinary projects involving the infrastructure, energy, and petroleum industries. In addition to directing and managing projects, Dr. Rastegar has conducted environmental assessments in the areas of air quality modeling and impact analysis, health risk assessments, liquid petroleum and natural gas pipeline safety analyses, petroleum products supply and demand studies, and permitting. Dr. Rastegar is an expert in both National Environmental Policy Act (NEPA) and California Environmental Quality Act (CEQA) compliance and environmental and risk assessment of major energy and industrial development projects and programs. 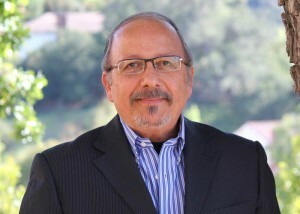 He has directed programs associated with the environmental assessment of offshore and onshore oil and gas developments, including hazard identification, hazard and operability studies, exposure and health effects, risk characterization, release prevention and source reduction, control and treatment technology assessment, air quality modeling/impact analyses and emergency planning. For energy projects, he has been technical adviser and final reviewer for air quality studies, facility design, efficiency and reliability studies, and hazardous waste studies. The vast majority of his experience has been in service to government agencies in support of permit application evaluation. He has been program manager and principal-in-charge of a number of major multi-year on-call services for California Energy Commission and California Public Utilities Commission. Dr. Rastegar has guided Aspen as President since 1991 and led its expansion from a three person firm to one of the leading environmental and energy consulting firms in the western United States. He has a Doctorate degree from UCLA and an MS degree from Florida Institute of Technology both in Environmental Science and Engineering, and a BS degree in Civil Engineering.